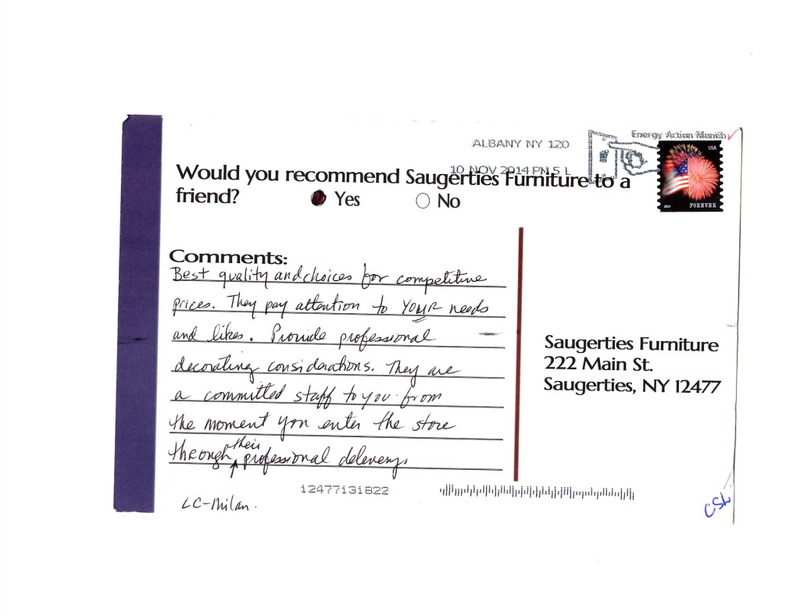 Another great review of Saugerties Furniture Mart and the quality of our furniture and our service. 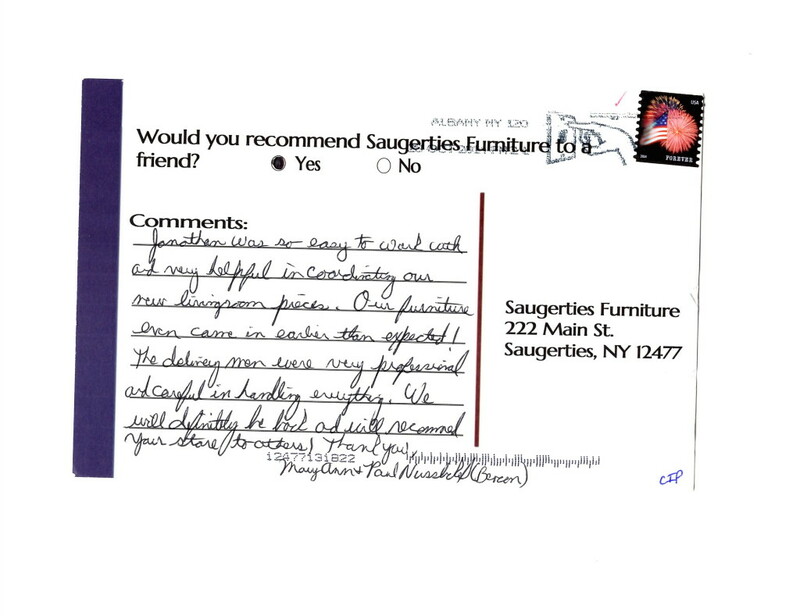 Our delivery personnel are second to none – just one more reason to shop and trust in Saugerties Furniture Mart in Saugerties NY. Family owned and operated for over 68 years! 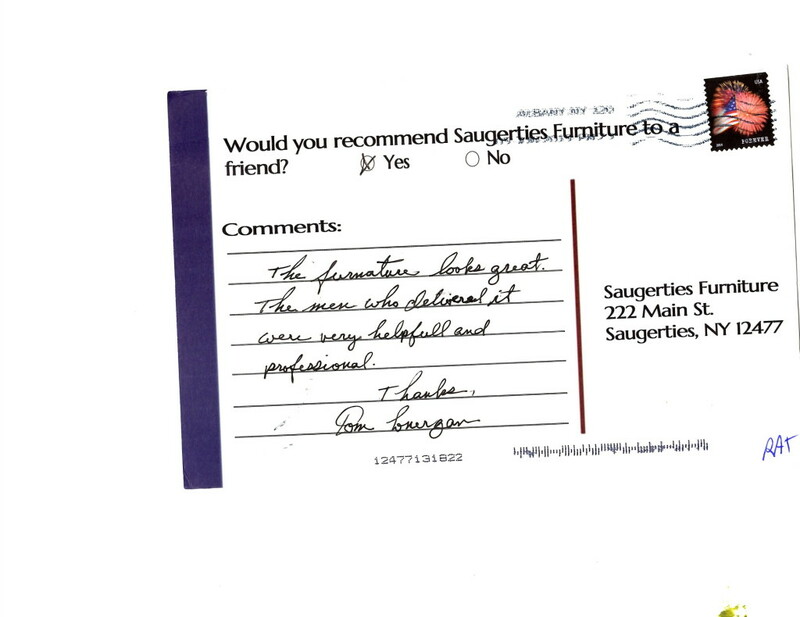 Click here to read more great reviews of Saugerties Furniture from our valued customers. This is what we do; make customers happy! 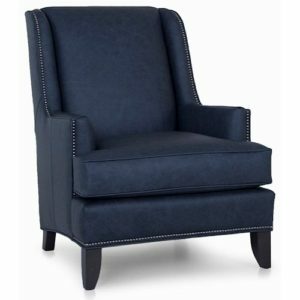 The help is knowledgeable, the prices great and the quality above the competition. 67+ years built with the same formula for success. 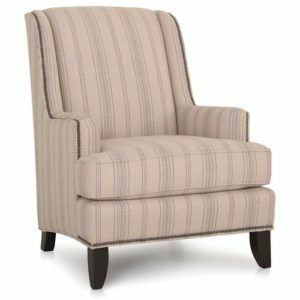 Saugerties Furniture Mart Review – Very satisfied customer! As a 3rd generation retailer I am driven to make customers happy….that’s why I go to work everyday. Here’s a glowing review of our services from start to finish. 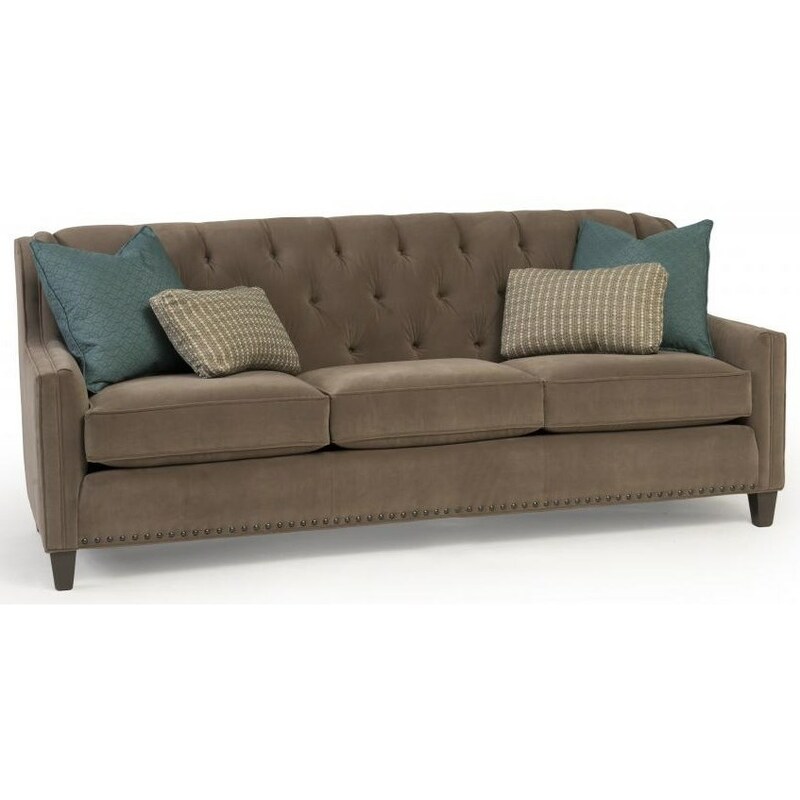 Visit Saugerties Furniture Mart on Main St. in Saugerties, 7 days a week, and see the difference over 67 years of experience makes.